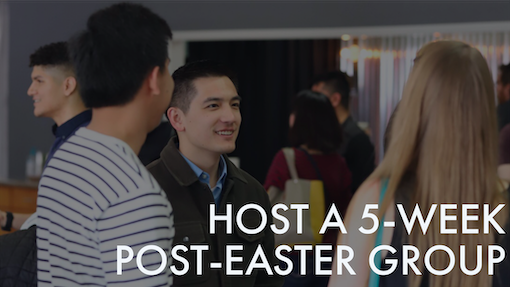 We are super excited about the upcoming Post-Easter Groups that we as a church will be launching together! These groups will follow the theme of our new teaching series, Tidying Up Your Life, which will run from April 28 – May 26, 2019. We would love to partner with you in hosting a sermon-based discussion group on Tidying Up Your Life. Together we will meet with friends and groups and dive into our workbook content to help us to focus and apply what we learned. Interested in hosting a Tidying Up Your Life discussion group? You did it! One of our Echo Groups coordinators will be in touch with you soon. As you invite your friends to join you, we’ll also promote your group so that you have just the right amount of people in the journey with you. If you’ve got any questions, we’d love to hear from you. Please feel free to reach out to groups@echo.church. Click here to find out more about becoming an Echo Group Leader. Click here for more information about Echo Groups.